Today’s Court decision to postpone Nabeel Rajab’s case is a travesty of justice, the Bahrain Center for Human Rights (BCHR) said today. 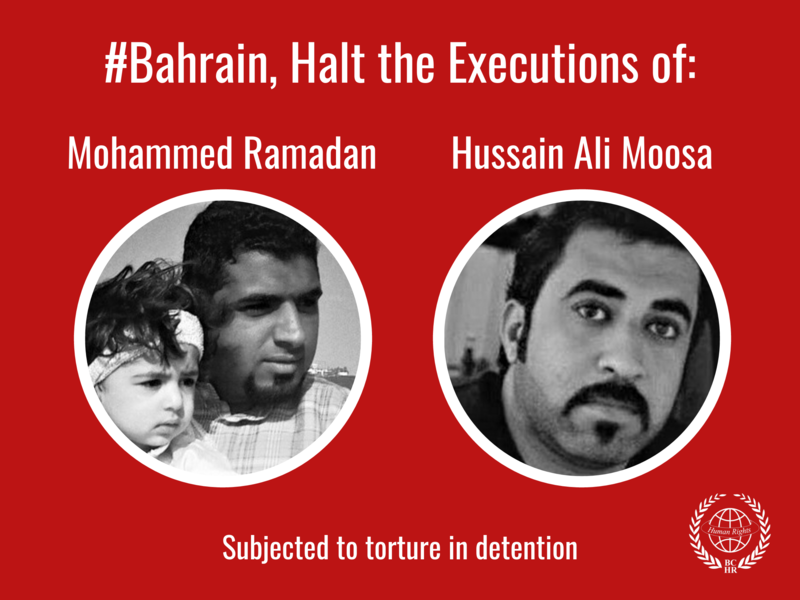 BCHR President has been held in detention since his arrest on 2 April 2016, far beyond the six months limit for pre-trial detention under Bahraini Law. Numerous requests for release on bail have been rejected which amount to arbitrary detention, according to international standards. “The Bahraini authorities should grant bail to Nabeel Rajab and investigate allegations of abuse and denial of medical care, as recommended by the UN a few days ago. Furthermore all charges related to freedom of expression should be dropped”, said Sheikh DR Maytham Al Salman, BCHR Senior Advisor. Nabeel Rajab remains in hospital after being admitted on 8 April following complications related to a surgical procedure he underwent on 5 April. Complications occurred after he was denied adequate medical care and sent back to the police station, only 2 days after the surgery. Rajab’s most recent trials were on 16 and 17 May, for charges relating to televised interviews given to the international press and comments made on social media. Both trials have been postponed. Rajab’s next trials are scheduled for 30 May and 14 June. In its concluding observations the United Nations Committee against Torture noted “with deep concern” the arbitrary imprisonment and ill-treatment of human rights defenders, including Nabeel Rajab. The committee urged Bahrain to release human rights defenders who are deprived of their liberty in retaliation for their human rights work. Rajab is President of BCHR, as well as Founding Director of the Gulf Centre for Human Rights (GCHR), Deputy Secretary General of FIDH and a member of Human Rights Watch’s Middle East Advisory Committee. Rajab has been relentlessly persecuted for his human rights activities and jailed repeatedly on charges in violation of his right to freedom of expression. On 2 April 2015, Rajab was interrogated and subsequently charged for allegedly “spreading rumours in wartime,” “insulting a neighbouring country,” and “insulting a statutory body.” These charges related to tweets and retweets on social media concerning the ongoing war in Yemen, and allegations of torture in Jau Prison. Rajab’s trial for these charges has been adjourned and subsequently postponed a total of 13 times. The next trial is scheduled for 14 June. If convicted of these charges Rajab faces a total sentence of 15 years in prison. Rajab’s release was ordered during the eighth hearing held in December 2016, however he was immediately rearrested on new charges. The second case against Rajab relates to charges of allegedly spreading false information and malicious rumours about domestic matters with the aim of discrediting and adversely affecting the prestige of the state in relation to televised media interviews that he gave. The Bahraini courts have postponed this trial 6 times. The next trial in this case is scheduled for 30 May. If convicted of these charges Rajab is facing a prison sentence of three years. If convicted on all of the above charges Rajab faces a total of up to 18 years in prison. Rajab has also been charged with offences that relate to articles he published whilst detained in pretrial detention in international newspapers Le Monde and the New York Times. Rajab is currently awaiting trial on these charges, and as of yet no trial date has been set. Charges include allegedly “intentionally broadcasting false news and malicious rumours abroad impairing the prestige of the state,” and “spread[ing] false information and tendentious rumours” that insult Bahrain and the Gulf Cooperation Council states. Both of these cases remaing with the Office of the Public Prosecution. BCHR strongly condemns the continued detention of Rajab, and the inhuman and degrading treatment that he has been subjected too. 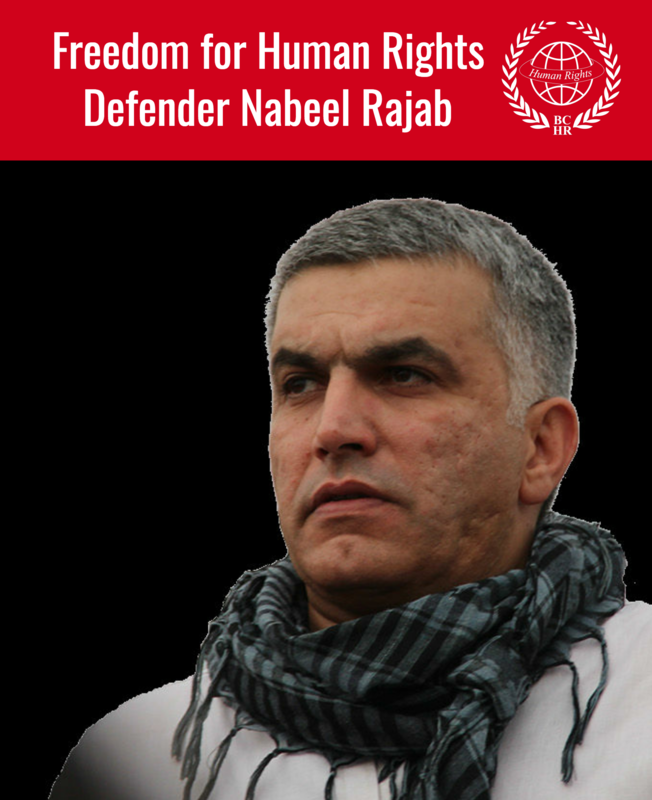 BCHR calls on the government of Bahrain to release human rights defender Nabeel Rajab. BCHR further urges the international community to continue to press the Bahraini government for the release of Nabeel Rajab and human rights defenders that are persecuted and imprisoned in Bahrain.